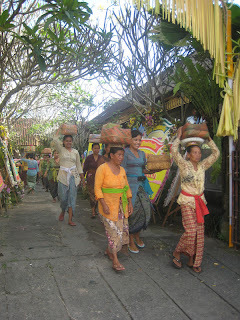 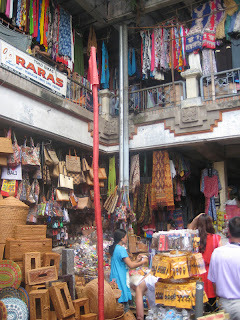 On our second day, we decided to head into Ubud for the first time. 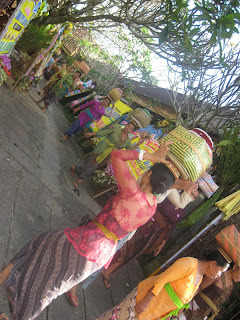 We were quite far out of the town, so we got a taxi in and were instantly hit by the noise, traffic jams, tourists and it was all a bit of a shock! 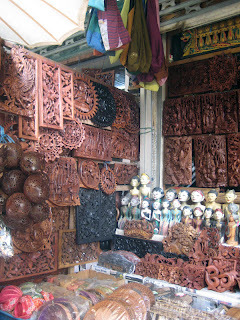 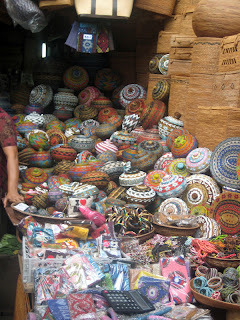 Many people had said how laid back and arty Ubud was, and I'm afraid I had something very different in mind. 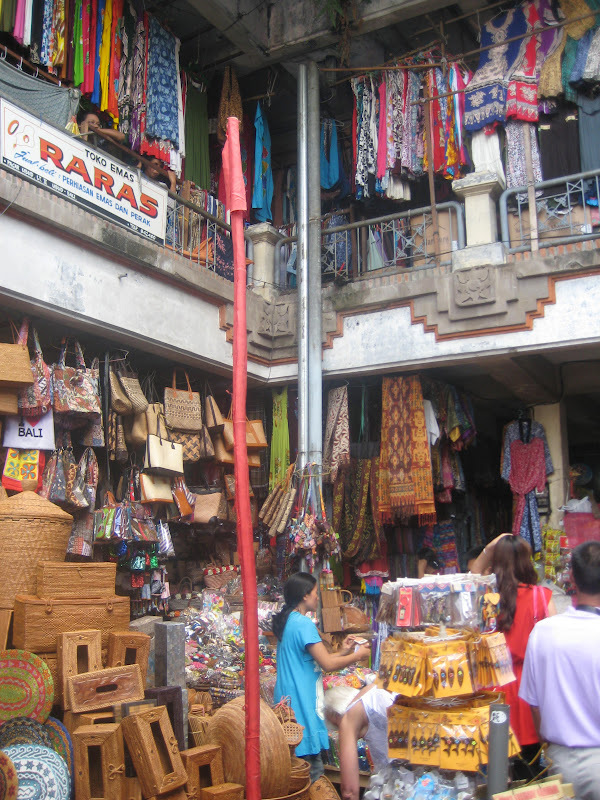 It was featured in the Julia Roberts film "Eat, Pray, Love" a few years ago and I'm wondering if that is why the hoards have now descended on the place. Anyway, it was good to wander round and take in all the handicrafts that overwhelm you, from printing and weaving to wood carving and baskets. 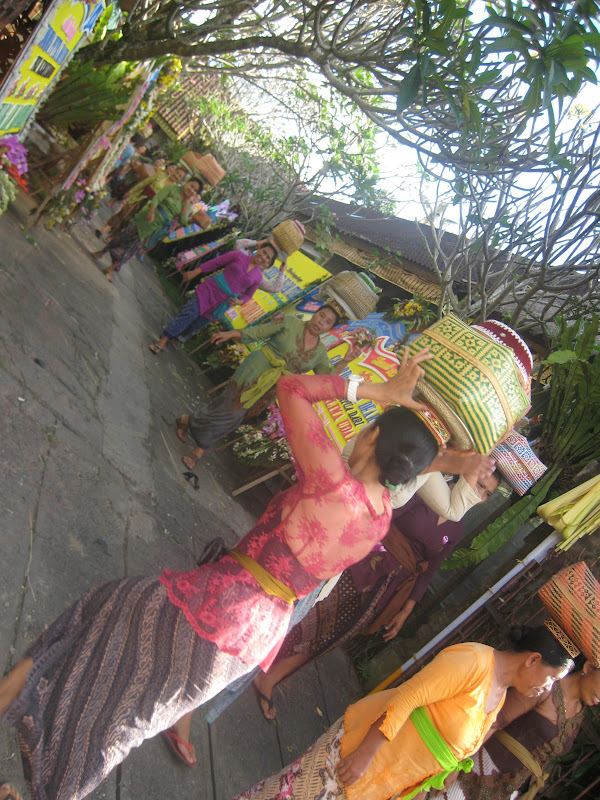 The Ubud market was quite a treasure trove, and we managed to catch a glimpse of local women giving out offerings, carrying the baskets on their heads.